Lent is a time of preparation for Easter. If Easter represents ‘new life’, then Lent is when we prepare for new life. Traditionally the story of Jesus spending 40 days in the wilderness is the story we use to describe what we do in Lent. We are told that ‘In the wilderness, Jesus was tempted by Satan; and he was with the wild beasts; and the angels waited on him’ (Mk 1:13). In the Lord’s Prayer, we pray, in the traditional version ‘lead us not into temptation, but deliver us from evil’. In the contemporary version, it’s ‘save us from the time of trial and deliver us from evil’. Using Mark’s story of Jesus’ time in the wilderness, we can see that the ‘temptation’ we ask to be saved from includes giving in to the ‘wild beasts’. Whenever we face such temptation, we are in a time of trial. Our soul is on trial, in the sense of being challenged in its vulnerability. Following the way of Jesus then, during Lent we are invited to spend time with wild beasts. Not just any or all wild beasts though: just the ones which threaten us, which vary from person to person. Our ‘wild beasts’ are the chaos inside of ourselves that we generally refuse to face: our paranoia, our anger, our jealousies, our distance from others, our fantasies, our grandiosity, our addictions, our unresolved hurts, our inability to pray, our doubts, our moral failures. The wilderness is a place with few resources for survival. There is little food available. In Luke’s story of Jesus’ time in the wilderness, Jesus eats nothing for the whole 40 days. Here, food stands for what is consumed to shield from chaos. Alcohol and food are popularly used to distance oneself from inner chaos, even if only because the pleasure they provide distracts us from our chaos. To go without food while in the wilderness then, is to stop engaging in whatever distracts or shields us from our chaos. We might choose then, to give up alcohol for Lent, or perhaps go without morning and afternoon tea. The point is to choose to face our inner chaos instead of avoiding it. The aim is acceptance. If we can face our chaos and accept it, there is hope for transformation, because the real power for transformation is love, and love requires acceptance. In the gospels, among Jesus’ friends, transformation follows friendship. Knowing they are accepted, as they are, they open their hearts to change. Acceptance can take many forms. It could mean stopping being anxious about being anxious, for example. Anxiety is one of those things that the more you try and stop, the stronger it grows. Accepting it allows it to die out. But that only happens if we first let it be, by accepting it, and that’s not easy. It means enduring discomfort, for awhile. I know of a woman who practiced mindfulness with her loneliness. She would sit and focus for a period of time each day on her loneliness, not trying to avoid it or distract herself from it, or stop it, just accept it for what it was. In time it began to have less influence upon her. She wasn’t a lonely person. She engaged with lots of people each day in her work and as a mother too, so there was no shortage of people around her, but loneliness isn’t necessarily about how many people you have around you. It’s about the aspects of your life that you alone must deal with, either because no-one else can live it for you, or because no-one quite understands something about you. Facing our inner beasts humbles us. We face our fears, feel vulnerable and out of control, and so feel small. A good image of that is that we are dealing with not the grand house that is our life, but its ashes. 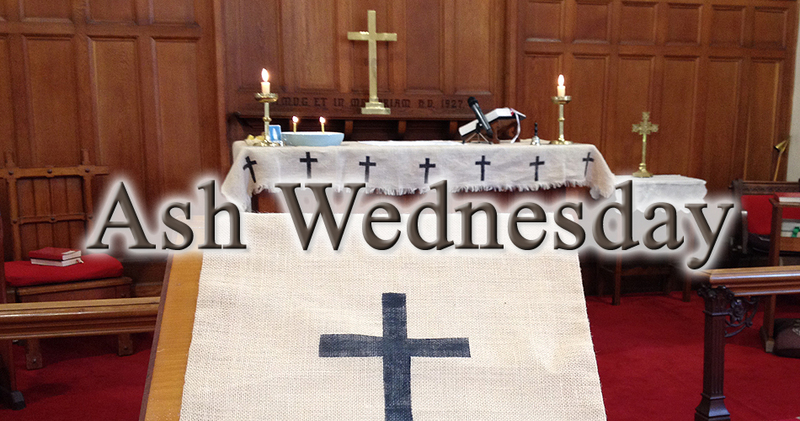 Hence, we have ashes placed upon our foreheads, for Ash Wednesday, as we begin Lent. We don’t place them there ourselves, because the ashes symbolise things we cannot control. In the 9th century, a Chinese scribe, wrote down a story which he said even then, was an old story. It’s a story that has hundreds of versions found in many cultures around the world. It’s the story of the ‘Ash Girl’, which we know in its English translation as ‘Cinderella’. It’s the story of a girl who eventually comes to fruition (represented by marrying the prince) only after spending lonely time in the ashes: humbled, dirty, tending to duty and the unglamorous, waiting. The prince in Cinderella are angels in the story of Jesus in the wilderness. If you sit in ashes, face your wild beasts, eventually the prince, or the angels will come and minister to you. Generally speaking, we don’t love the ‘wild beasts’ of our lives. If we didn’t, we wouldn’t run from them. They are our enemies, but only so long as we do run from them. If we face them, and Jesus shows us we can, then they become gifts, which lead us to grow stronger and more capable of love.